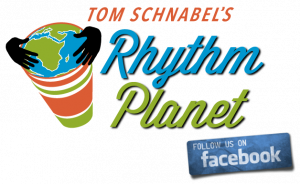 On this week’s audio post, I’m featuring some new albums I really like. The focus is on the talented women who sing on them. I’m playing deejay, something I love doing as you no doubt know by now. The minute I heard her music I was struck and became an instant fan. I wrote another RP post on her too. It seems like I’m not alone at KCRW for loving her sound. The veteran Venezuelan singer, based in the San Franciso Bay Area for years, has a deep, throaty voice that just drips with sabor. I find her songs captivating. 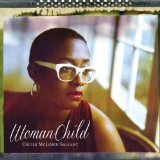 The daughter of French and Haitian parents and based on the East Coast, Salvant is new to my ears, but apparently Wynton Marsalis, Ben Ratliff of the New York Times, and Dee Dee Bridgewater, Kurt Elling, Al Jarreau and others who voted her the winner of the prestigious Thelonious Monk Jazz Competition Award got there first. Like Marquez, her voice sounds like it’s been passed through dark velvet, and her phrasing and style will catch you as well. I will feature two songs of hers, one from her own album, the other one where she guests with French pianist Jacky Terrasson on his new album Gouache (watercolor). 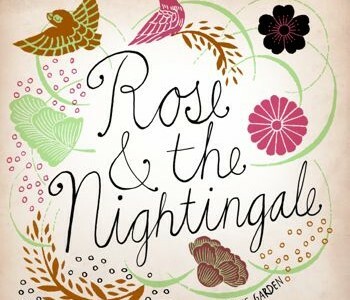 A chamberistic new album by a quartet of talented musicians, named after an Oscar Wilde story. 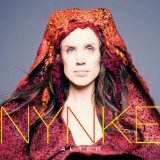 I was familiar with pianist & vocalist from her earlier album, which I featured in the past. This lovely album has grown on me. I also like Laila’s own albums; she does a great version of “Woodstock” as well as “Nature Boy”. An unusual pairing if there ever was one: a singer from the north of the Netherlands singing in an obscure dialect called Frisian. She sings fado and other styles and has charted in the Netherlands. Her new album was produced by Javier Limon who runs Casa Limon, the great Barcelona production house that has brought us the incredible singer Buika. With guest performances with the Rolling Stones and Prince an avid fan, I suppose it was inevitable that the great young fado stylist would make a crossover record. The new album was produced by veteran Larry Klein, and features a nice version of Joni Mitchell’s “A Case of You” and a cut with Herbie Hancock. For fado purists, there’s also a good dose of traditional and contemporary fado as well. I’m happy to see this new posthumous cd from the great “Barefoot Diva” Cape Verdean Cesaria Evora. 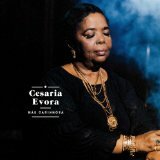 And good news, Harmonia Mundi will release and distribute the Lusafrica-produced import here in the U.S. Cesaria Evora is one of the most unique singer anywhere. I can never get enough of her tasty but saudade-laced music.